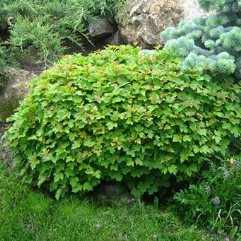 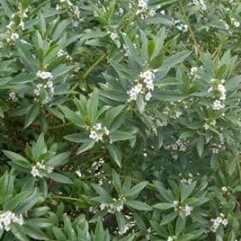 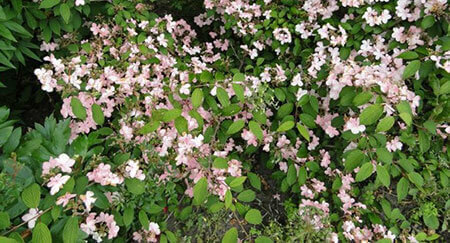 This is a small mounding shrub with its branches arranged in layers. 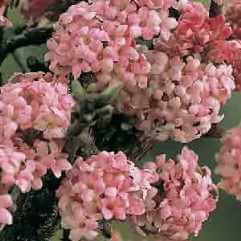 The cup sized lace-caped pink flowers appear in spring and become dark pink as the flowering season progresses. 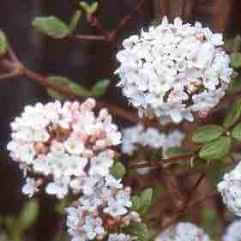 The leaves turn yellow and fall in autumn. 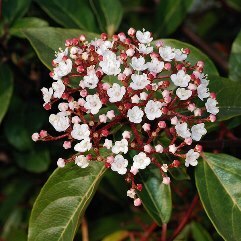 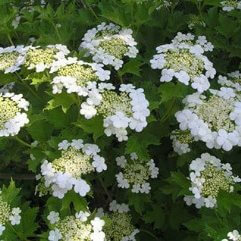 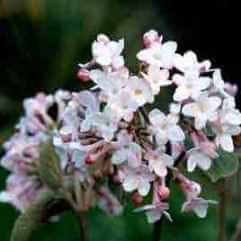 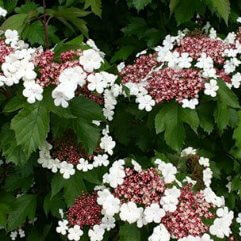 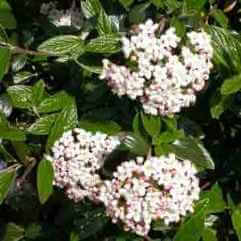 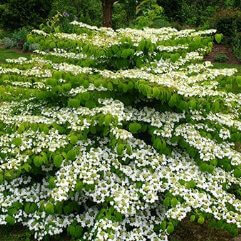 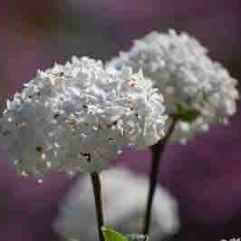 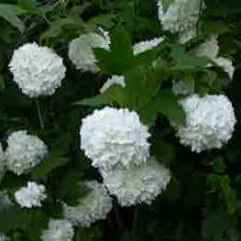 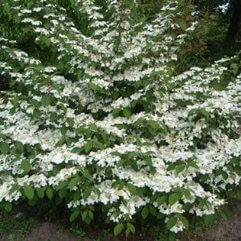 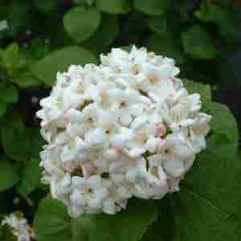 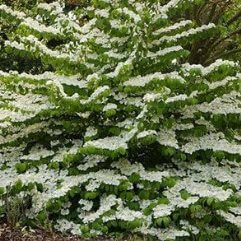 A great Viburnum for a small garden.